Photography 101, Day 3: For day three, we want to see your interpretation of water — how might your image reveal more about you? Ever wonder whether a photograph will work better horizontally or vertically? It’s a great question to ask when looking through your viewfinder! After you snap your picture, rotate your camera and take a second shot from the other orientation — horizontally if you first took the picture vertically, and vice versa. If you’re aiming for an establishing shot, what orientation works better? How does a vertical shot affect your scene? Which version do you prefer? This is what water reveals about me. 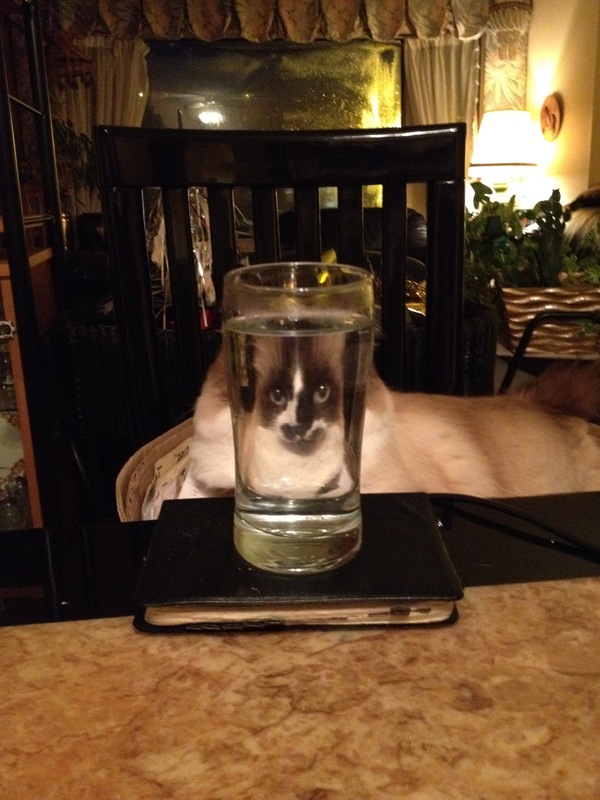 You may notice the water reverses my image. Almost all our photos taken with an iPhone are vertical (above), and almost all taken with the DSL are horizontal (below). 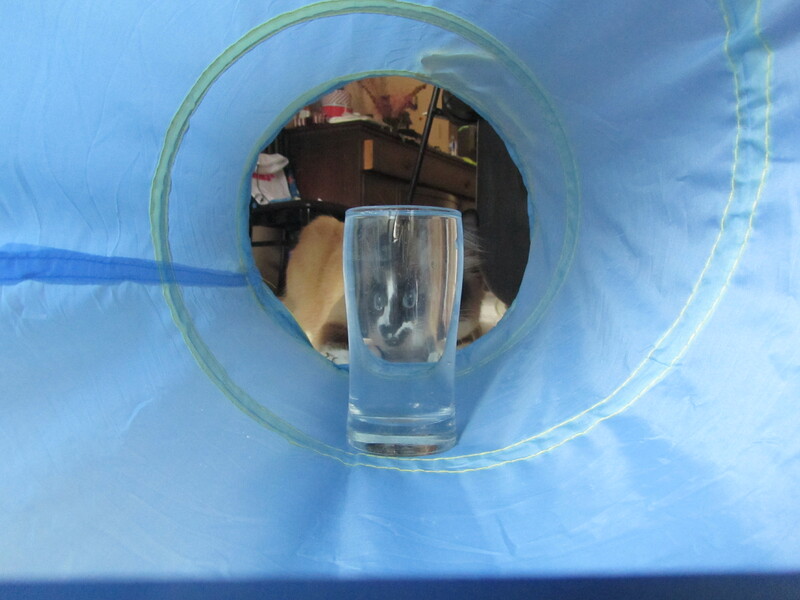 Mom has been experimenting with refraction and water, and found a really unique photo on the web that she’s trying to re-create. We haven’t succeeded yet, but still working on it and these are what we’ve managed so far. We like whichever orientation fits with what we are trying to capture. A waterfall would probably fit better vertically, where as a sunset would most likely be more flattering horizontally. 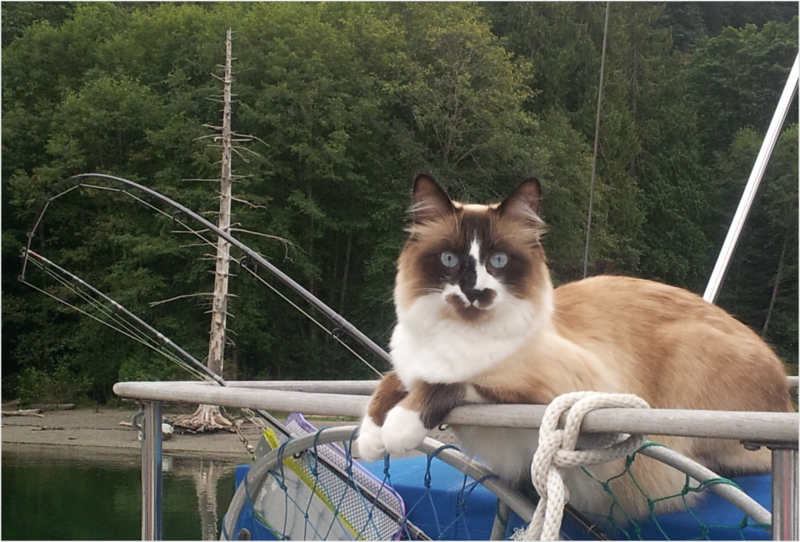 Being the editor of our boating group’s newsletter, my human runs a photo contest and puts together a couple of theme calendars consisting of the winning photos taken by her fellow PMPSS (Port Moody Power & Sail Squadron) members. One of the themes is called Waterscapes, and the other is Pets & Wildlife. Those photos are from the 2013 calendar. The 2014 calendar photos will be uploaded to Flickr in December, and the 2015 calendars just went to the printer. One criteria that she insists on is that all the photos have to be horizontal because “landscape” (horizontal) is the paper orientation.